Clinic Synopsis: Instrumental programs are often viewed as "activities" while essential aspects of the academic learning are overlooked. A demonstration/clinic that directors present to administrators, B.O.E. members, and parents to show the intricate combination of visual, intellectual, physical, and auditory control coupled with a perceptive decision making process or, intelligence in action. A live model of such a clinic will be presented. Clinician Biographical Information William Eicher is the conductor of the Clarence High School Wind Ensemble and serves as the District Coordinator of Music. His duties include teaching lessons, directing the jazz ensemble and pit orchestra. Prior to his appointment at Clarence, he taught for eleven years in Plainwell, Michigan. He was awarded the New York State Band Directors Association's (NYSBDA) Richard H. Snook Outstanding Band Director Award. He has also received the National Band Association's Citation of Excellence Award twice, was honored by School Band & Orchestra magazine as one of the "50 Directors Who Make a Difference," and the Plainwell Community Schools Award of Merit. Eicher is a member of the Pi Kappa Lambda National Music Honor Society, the National Band Association, World Association of Symphonic Bands and Ensembles, and the New York State Band Directors Association. Second Clinician Biographical Information Edward S. Lisk is an internationally recognized clinician, conductor, and author. He is a graduate of Syracuse University School of Music with graduate studies at Ithaca School of Music, Syracuse University, and Oswego State University. He is the former Director of Bands and K-12 Music Supervisor for the Oswego City School District in Oswego, New York. Mr. Lisk was inducted for membership in the distinguished American Bandmasters Association in 1989. In the year 2000, he served as the 63rd President of this distinguished organization founded by Edwin Franko Goldman. He has an active guest-conducting schedule that includes all-state bands, honor bands, university, and professional bands. He has served as guest conductor of the U.S. Air Force Band, Australian Wind Symphony, U.S. Interservice Band, U.S. Army Field Band and the U.S. Army Band "Pershing's Own." In 1992, he had the distinguished honor of conducting the world premiere performance of the first American Bandmasters Association's commissioned composition Endurance, by Timothy Mahr with the United States Interservice Band at DAR Constitution Hall in Washington, DC. He served (4/27/03) as a guest conductor for the 175th Anniversary Concert of The Allentown Band, which featured several prominent conductors who made significant contributions to the band world during the past fifty years. Since 1985, he has served as an adjunct professor, appeared as a clinician/lecturer, adjudicator, and guest conductor throughout 45 states and 5 Canadian Provinces. With emphasis upon rehearsal techniques and school band program design, he has made more than 500 presentations at state, national and international conferences, university graduate sessions, and workshops. He traveled to Australia in 1990 and presented sessions for the Australian National Band and Orchestra Clinic in Perth, Melbourne, and Sidney. In 1991, he was selected by the New York State Education Department to co-author the New York State Standards for Arts and Humanities. He also served on New York State's first School Quality Review Team in 1993 which assessed the quality of teaching and learning in New York State schools. Mr. Lisk is the author of The Creative Director Series (7 pub.) published by Meredith Music Publications. His two recent publications, The Intangibles of Musical Performance and, The Creative Director: Beginning and Intermediate Levels, are receiving notable acclaim by many prominent composers and musicians. He is also a co-author of the highly acclaimed 5-volume publication by GIA, entitled Teaching Music Through Performance in Band. He serves Carl Fischer Publications as editor for the newly released Edwin Franko Goldman March Series. Currently his editions of On The Mall March, The ABA March, and Bugles and Drums March are available. 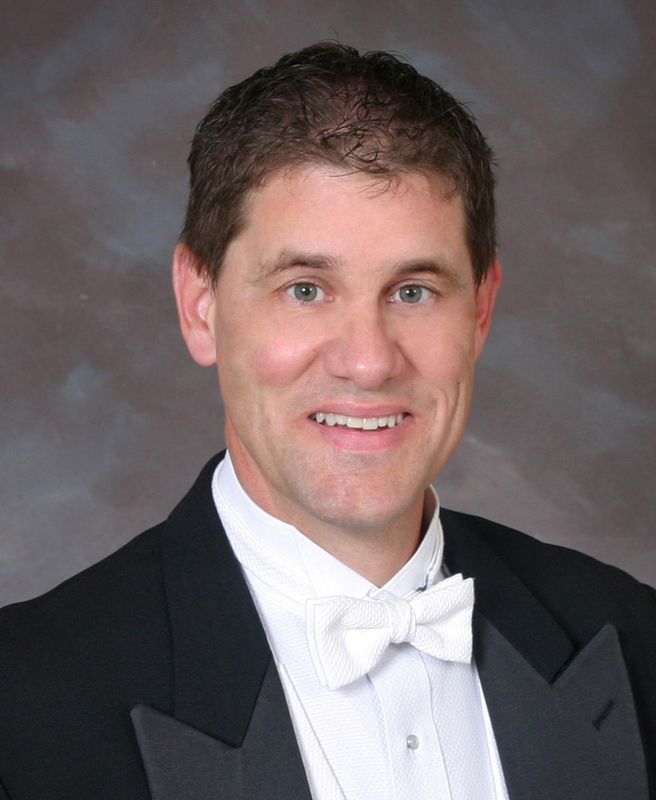 Mr. Lisk is an appointed member of the Midwest Clinic Board of Directors and serves the John Philip Sousa Foundation as Vice President for Administration. He is a past-president of the National Band Association('90-'92) and served NBA as Executive Secretary Treasurer (1997-2002). He holds membership in several professional associations and is an International Honorary Member of Phi Beta Mu. He is the recipient of many distinguished awards, titles, citations and is listed in Who's Who in American Education. Third Clinician Biographical Information National recognition was brought to the instrumental music program when Norbert J. Buskey became director of the Clarence High School Band in 1962. Mr. Buskey established the present Wind Ensemble, began the Annual Concert at Kleinhans Music Hall (home of the Buffalo Philharmonic). He commissioned composers for new works, most notable is Warren Benson's Solitary Dancer (1966) and brought guest artists to Clarence such as Warren Benson, Carl “Doc” Severinson, Harvey Phillips, Vaclav Nelhybel, Lionel Hampton, Clarke Terry, and Roy Burns to share their talents. Under his direction, the band performed numerous times at the New York State School Music Association (NYSSMA) Conference, the Music Educators National Conference (MENC) and the Midwest Clinic (1966). 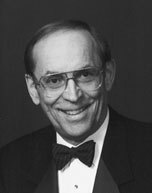 Ronald A. Sutherland took over the Wind Ensemble in September of 1971 after a two year period where Gary L. Good was the conductor. During Mr. Sutherland's 25 year tenure as conductor of the Wind Ensemble the following conductors and composers graced the Clarence High School stage: The Free Design, Urbie Green, Donald Hunsburger, Vaclav Nelhybel, Karel Husa, Sigurd Rascher, The Rascher Quartet, Allen Vizzutti, Frank Erickson, Anthony Maiello, Rhythm and Brass, William C. Willett, Joseph Wincenc, Donald Schleicher, and Carl St. Clair. The combined Wind Ensemble and Symphonic Band performed at International Festivals in Aberdeen, Scotland and London, England in 1976. In 1990, the combined Wind Ensemble, Symphonic Band, and Chorus were invited to perform at International Festivals in Graz, and Salzburg, Austria. In 1996, William Eicher became the Wind Ensemble’s fourth conductor. Following the traditions established by his predecessors, Mr. Eicher guided the Wind Ensemble into the 21st century. By performing a wide range of demanding repertoire from original works to quality transcriptions the Wind Ensemble and their audiences have been exposed to great compositions of different eras. Under Mr. Eicher's direction the Wind Ensemble continues to perform at major conventions including the Midwest Clinic (2009 & 2003), New York State Band Directors Association (2005), New York State School Board Association (NYSBDA) Convention (2001), NYSSMA Winter Conference (1999), and presented a clinic on repertoire at the 2000 NYSSMA Winter Conference. The Wind Ensemble during Mr. Eicher’s tenure has also commissioned and premiered many new works for wind band. These include, Michael Torke's Saxophone Concerto (2011 Consortium member), Persis Parshall Vehar’s Bright Phoenix Ascending (2003), Warren Benson’s Still Dancing (2002), David Gluck’s Bailamos (2002), and Ron Nelson’s Night Song: Homage to Howard Hanson (1998). Mr. Eicher and the Wind Ensemble have maintained the tradition of working with guest artists. During the past sixteen years, they have hosted such notables as: Composers: Warren Benson, David Gillingham, David Gluck, David Maslanka, Stephen Melillo, Ron Nelson, Michael Pratt, and Persis Parshall Vehar. Conductors: Frank Battisti, Harry Begian, Frederick Fennell, Donald Hunsberger, Tim Lautzenheizer, Edward Lisk, Anthony Maiello, Sarah McKoin, John Nichol, Jeffrey Renshaw, Mark Scatterday, John Whitwell, and Rodney Winther. Soloists: Laura Aikin, Jim Akins, Sal Andolina, Mary Karen Clardy, Mark Babbitt, Robert Dilutis, Mark Fisher, Karen Futterer, Ken Futterer, Alex Jokipii, Peter Karau, Mark Kellogg, Alice Lenaghan, Chien-Kwan Lin, John Nichol, Jim Pyne, Donald Sinta, James Thompson, Brad Wong, Meridian Arts Ensemble, Central Michigan University Percussion Ensemble, Eastman Horn Choir, Rhythm & Brass, and Atlantic Brass. The Clarence Bands have also made several recordings with Mark Custom Recordings of Clarence. The longevity of success the Clarence Music Program has experienced can be attributed to the outstanding music faculty, the commitment and hard work of students, the support and encouragement of parents, the school administration, the Board of Education and the Clarence Community.